Research suggests that as humans continue releasing carbon dioxide into our atmosphere our oceans are changing in ways that may drastically affect marine life. Between 1/4 and 1/3 of all carbon dioxide released into our atmosphere is absorbed by the oceans. After it is absorbed, the CO2 goes through a series of chemical reactions, resulting in water that has a lower pH. This lower pH corresponds to increased acidity. More acidic waters have many harmful effects on marine life, including affecting their growth, development, and immune system function. For this project, we partnered with The Bay Foundation and a PhD student to monitor the restored kelp forests off the coast of Palos Verdes. The Bay Foundation has spent over 20 years researching and restoring these kelp forests, in order to revitalize the area’s productivity. 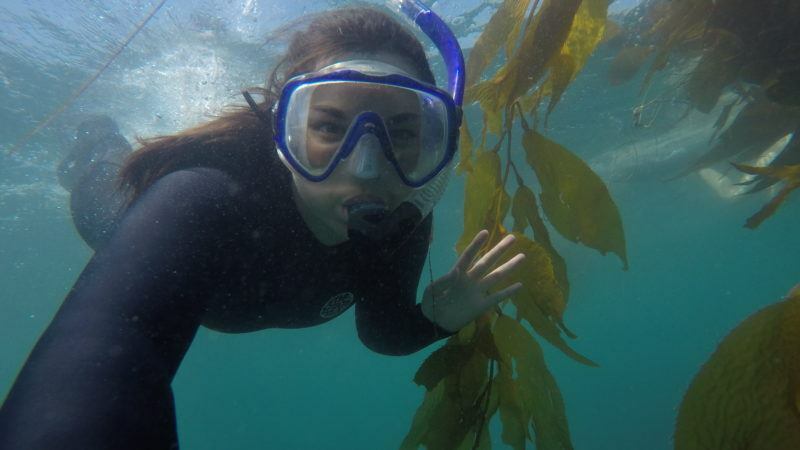 Because kelp are photosynthesizers, they draw carbon dioxide from the water perhaps making conditions less acidic and therefore more favorable for many marine organisms. 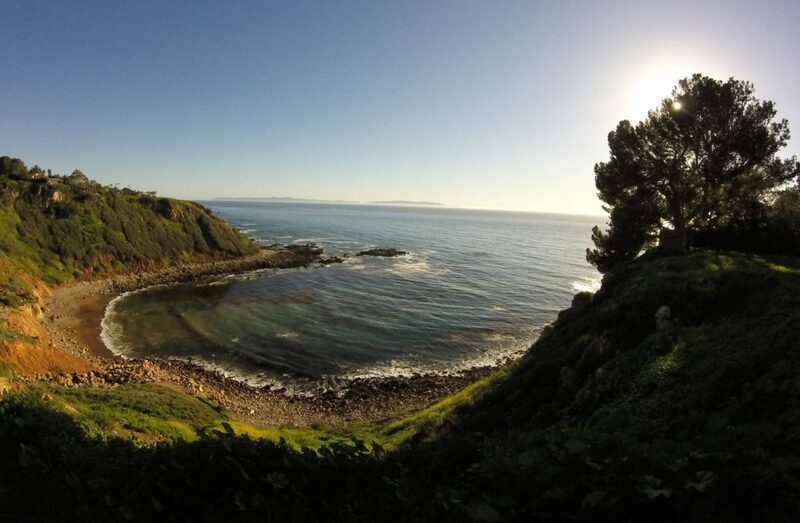 Our team will be building upon The Bay Foundation’s work by monitoring these restored forests in order to assess the feasibility of kelp forests as a pH refuge for marine life from the harmful effects of ocean acidification. To do this, we directed our efforts specifically on tracking seawater chemistry changes through time and measuring phytoplankton to see what, if any, effect they have on productivity. We went out to Palos Verdes for 4 different field days. There, we boarded The Bay Foundation’s research vessel and traveled to our 2 sampling locations. One of these sites was in a restored kelp forest region and one was an open ocean region, serving as the control. At each location we took measurements at various times of day and at 4 depths in the water at each time. After 4 field days we had completed 32 CTD casts (to measure conductivity, temperature, and depth), collected 128 water samples to measure pH, and performed 384 chlorophyll filtrations. We also took water samples to bring back to UCLA to assess phytoplankton populations. 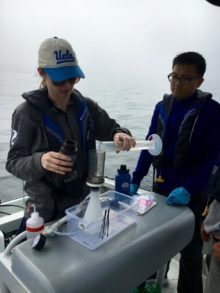 To expand the spatial scale of our research, our team launched a successful crowdfunding campaign in order to install and calibrate a CO2 Pro Instrument on UCLA’s research vessel. As the vessel moves through the water, the instrument records dissolved CO2 at the surface. This allowed us to better understand the relationship between surface CO2 and kelp canopy density. 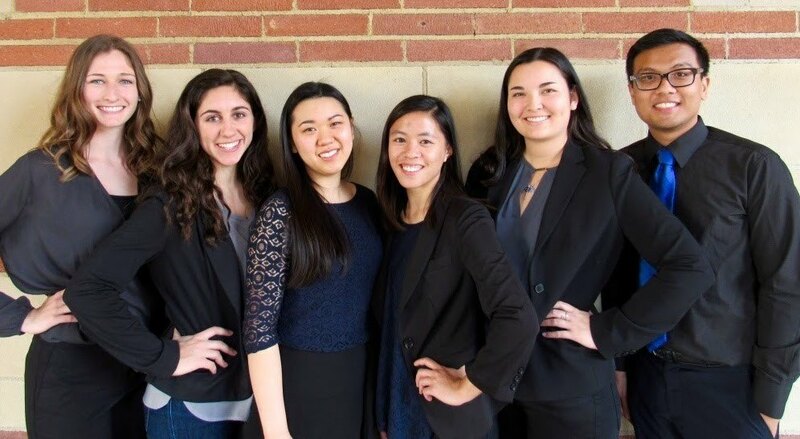 Finally, our team presented our research at UCLA’s undergraduate research event and participated in a community outreach event at the Palos Verdes Interpretive Center. We were able to reach people from all different backgrounds- students and faculty at the UCLA event; and parents, children, and other community members at the Interpretive Center. It was a great opportunity to explain the relevance and importance of our research and to show people why they should care about their coastal ecosystems. For us, this project has been more than just a grade. We have worked with a real client on a real problem. Our team has pushed ourselves out of our comfort zones – traveling to different places along California’s coast, performing rigorous field work, and contacting experts in different fields – so that we could create the best final product. We are so thankful for everything we have learned and we look forward to future research that may expand upon what we have accomplished.